Subject(s): Church work - Evaluation. Each congregation must evaluate itself in light of its own mix of gifts, backgrounds, talents, and opportunities. Presenting the best of evaluation theory past and present, Woods shows clergy and lay leaders how to engage in mutual evaluation-not judgment-of ministry, mission, and community as a shared responsibility. The goal is building up the congregation. 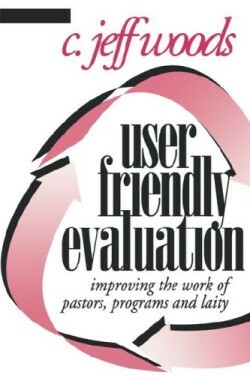 A special chapter provides commentary from church evaluation experts Roy Oswald (Alban), Paul Light (ABUSA denominational staff), and Jill Hudson (PCUSA judicatory executive) on dilemmas congregations face in evaluation.